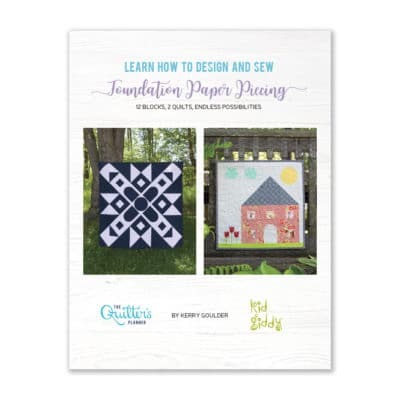 The 2018 Quilter’s Planner is ready for pre-order! 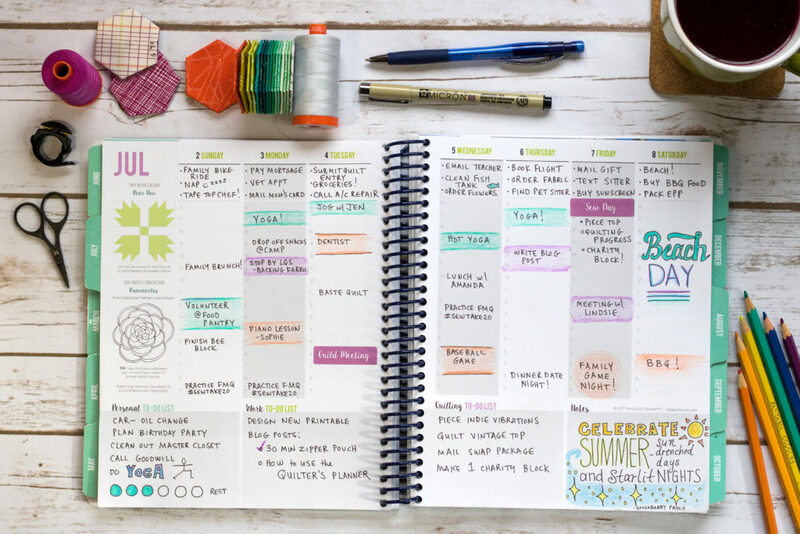 The Quilter’s Planner has everything you need to plan your days, organize your sewing projects, and get inspired! 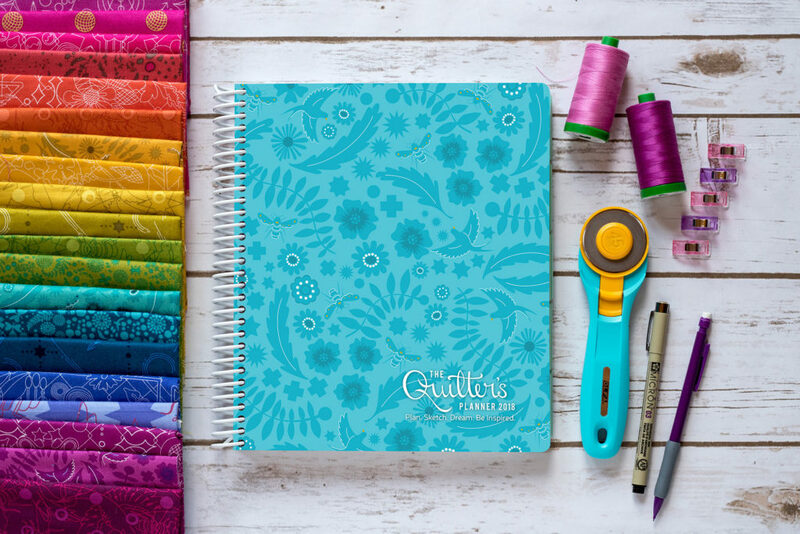 When you purchase a 2018 Quilter’s Planner, you will also receive a full-color, glossy magazine with 14 quilt patterns and 4 pages of colorful planning stickers! We are thrilled to announce that our featured designer for 2018 is the renowned surface artist Alison Glass. Alison is the mastermind behind beautiful lines of fabric like Sunprint 2017 and Seventy Six. Alison is famous for bringing the rainbow into our sewing rooms, and we are delighted that she has joined forces with us this year to infuse the planner with her artwork. With your purchase of a 2018 planner, you will also receive a 12 month sampler pattern designed by Cheryl Brickey of Meadow Mist Designs. We’ve sewn the sampler in both modern and traditional fabric collections to show you the range of beauty that awaits you when you stitch a beautifully designed block each month of the year. 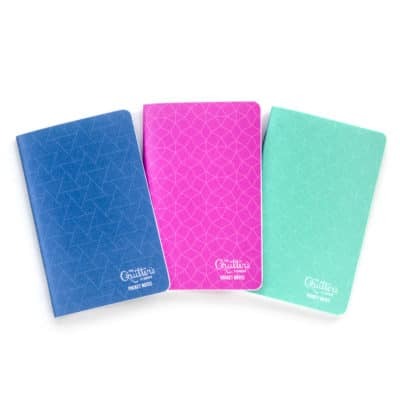 Don’t forget the QP Mini planner! The photography in the 2018 planner and accompanying magazine is provided by Kitty Wilkin of Night Quilter. 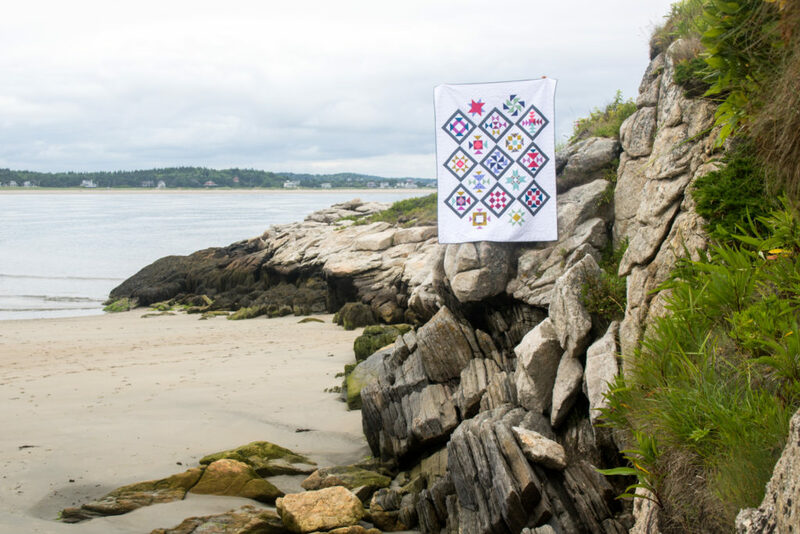 Kitty’s photos of quilts set against the beautiful backdrop of the rocky coast and rural hilltops of Maine gives the Quilter’s Planner it’s unique personality that has inspired thousands of quilters over the past two years. 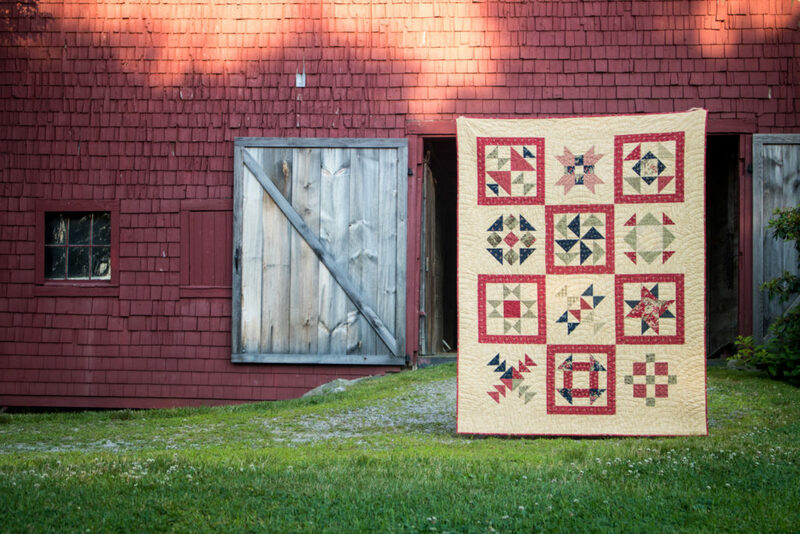 The photographs below show the new monthly sampler pattern in the 2018 Quilter’s Planner, shown in two different fabric lines and settings to demonstrate the versatility of the blocks. It’s amazing how the same blocks can be treated in different ways. Quilter’s Planner Sampler Quilt designed by Cheryl Brickey for The Quilter’s Planner. Variation using the fabric line Seventy Six by Alison Glass, and setting en pointe. Photo by Kitty Wilkin. Quilter’s Planner Sampler Quilt designed by Cheryl Brickey for The Quilter’s Planner. Variation using the Fern Hill fabric line by Jan Patek and standard block setting. Photo by Kitty Wilkin. 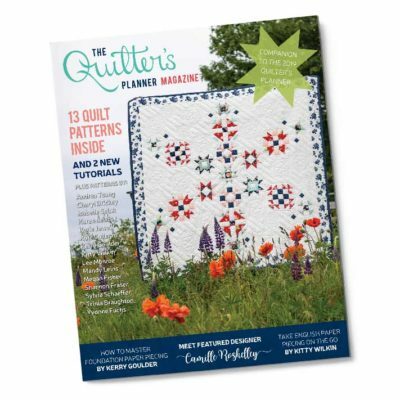 In addition, there are 13 other quilt and sewing patterns by top designers included in the magazine and featured on the monthly tab pages. 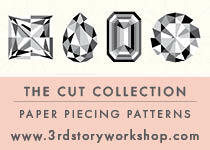 For some of the patterns, we will be hosting sew-alongs throughout the year. 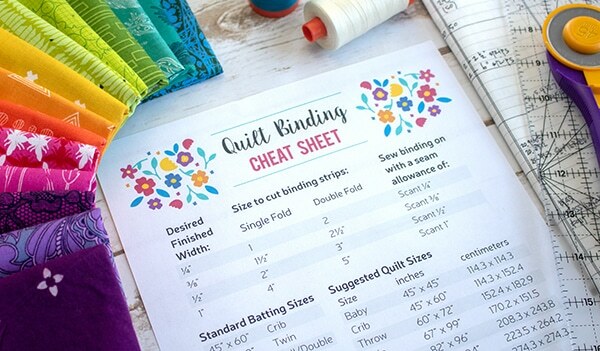 The Quilter’s Planner is brought to you by publisher Stephanie Palmer of Late Night Quilter. 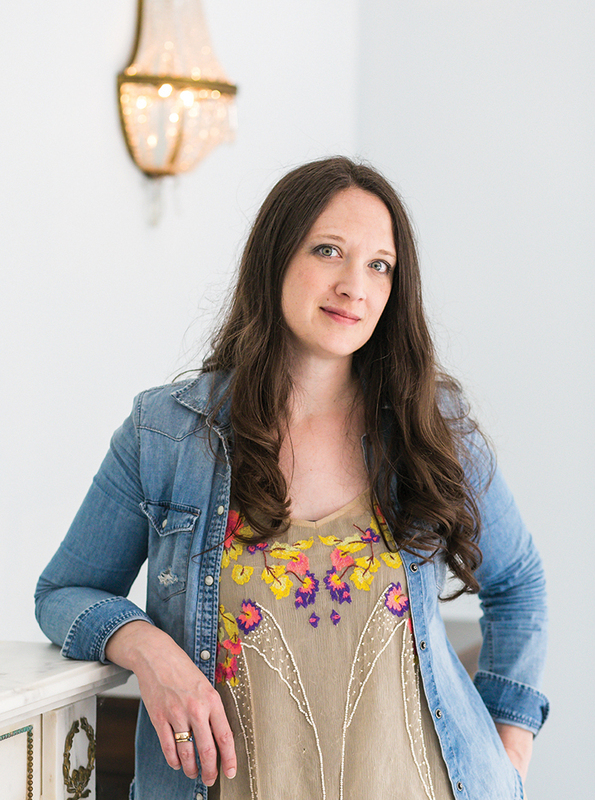 Stephanie and our graphic designer, Lindsie Bergevin, work closely together to bring you the clean design and fantastic curated patterns that quilters across the world have come to love. Stay tuned for more blog posts and videos about simple ways to integrate the planner into your daily life so that you become more organized, creative and inspired!